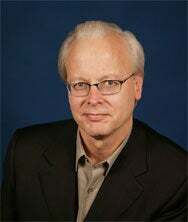 Ray Ozzie, Microsoft’s chief software architect and the executive responsible for pushing the company into the cloud, plans to step down, Microsoft said on Monday. Ozzie is retiring from Microsoft with no immediate plans following his departure, CEO Steve Ballmer wrote in a memo to employees that the company posted on its Website. Ballmer was vague about when exactly Ozzie will leave. He’ll remain for “a while” while he transitions the teams and ongoing projects in his organization, Ballmer wrote. “Following the natural transition time with his teams but before he retires from Microsoft, Ray will be focusing his efforts in the broader area of entertainment where Microsoft has many ongoing investments,” he said. Microsoft does not plan to replace him. “The CSA role was unique and I won’t refill the role after Ray’s departure,” Ballmer wrote. He praised Ozzie’s work at Microsoft. “Ray has played a critical role in helping us to assume the leadership position in the cloud, and positioned us well for future success,” Ballmer said. Ozzie joined Microsoft in 2005 as chief technical officer when the software giant acquired his company, Groove Networks. He was best known at the time for being one of the creators of Lotus Notes. Ozzie was a strong force at Microsoft, representing an era of computer scientists who grew up among the first computers. When Bill Gates stepped down from his day-to-day role at the company he founded, Ozzie was a fitting person to fill his shoes as chief software architect. Ozzie once estimated that he had accumulated 10,000 hours behind a computer by his sophomore year in college. He was born the same year as Gates and they both had their first experiences with computers using GE Time-sharing computers.